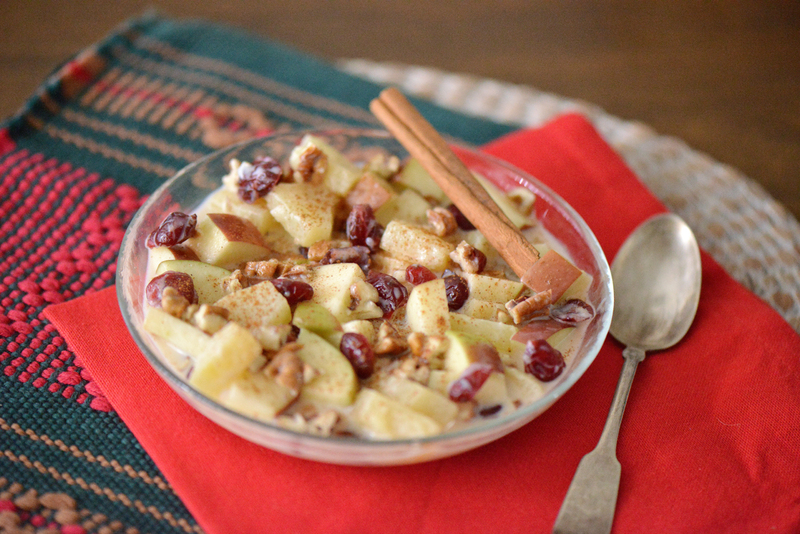 Ensalada Navideña de manzana y nuez, or Christmas apple pecan salad, is a must on your holiday table. 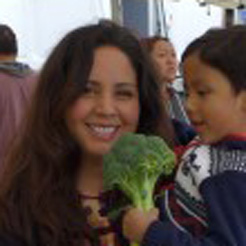 This salad is a welcome treat during traditional posadas, office potlucks, and family gatherings. Made with just a few ingredients, this tasty dish is easy enough anyone can prepare it in just a few minutes. The salad can be served as a dessert or as a savory side to a Christmas roast when the the sweetened condensed milk is replaced with crème fraîche. 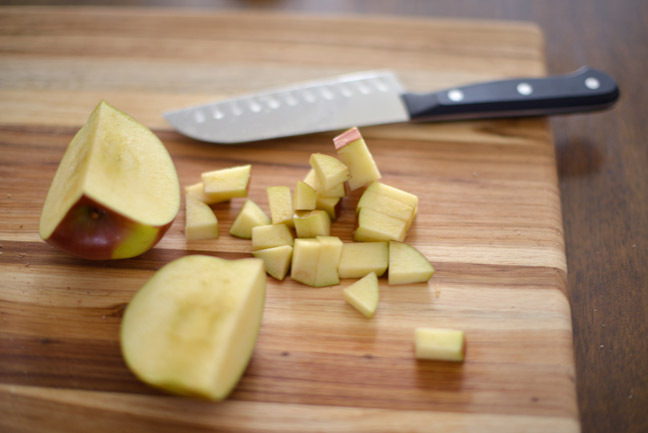 Step 1: Chop apples into bite size pieces, approximately ½ inch in diameter. Place pieces in a large mixing bowl. Step 2: Drain and reserve pineapple juice from canned pineapples. 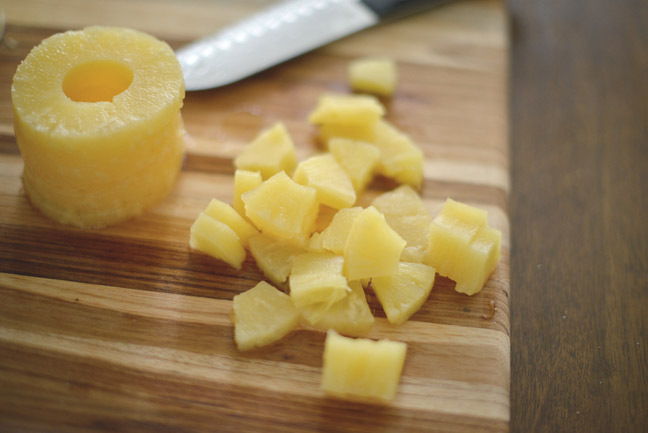 Chop pineapple rings into bite size pieces, approximately ½ inch in diameter. 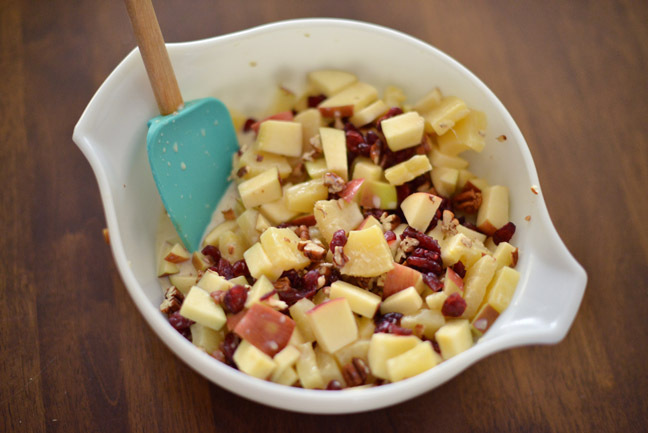 Place pieces in a large mixing bowl with apple pieces; toss to combine. Step 3: Combine reserved pineapple juice, milk, and condensed milk. Stir liquid to mix evenly. 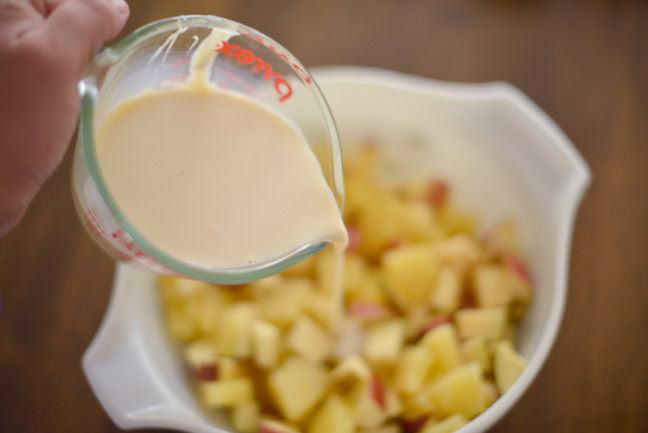 Pour in apple/pineapple bowl, and carefully stir to distribute liquid throughout fruit. 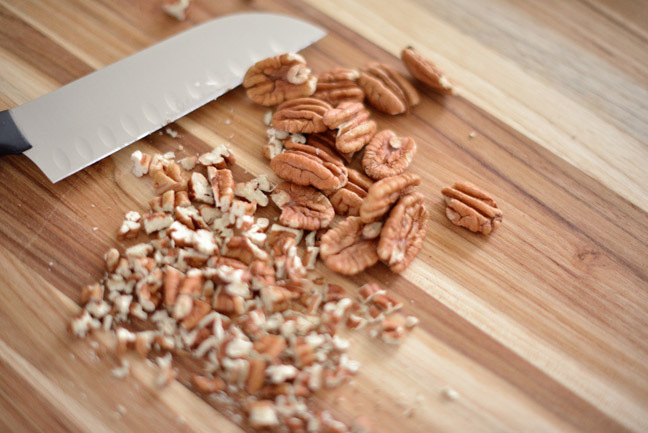 Step 4: Chop pecan halves into quarters. Add chopped pecans and dried cranberries to fruit bowl. Step 5: Carefully stir all ingredients to combine. Cover with plastic wrap and refrigerate 1 hour before serving.